On Sundays, I remind you of a classic Giftie post that you might have missed. You might want to take notes for this lesson. It's a good one. Get out your pen and paper. I'll wait. Back in 2013, I gave some tips that will completely transform how you use your planner. After reading them, come back here and find out how I've changed things since then! Mostly, these 2013 tips are still serving me well. I no longer use a highlight color, so FYIs are just marked as such. For example: "FYI - School Holiday"
The fact that these tips still work is good evidence that you should consider adopting some or all of them. They will give you more space, better entries, and superior records in your planner. 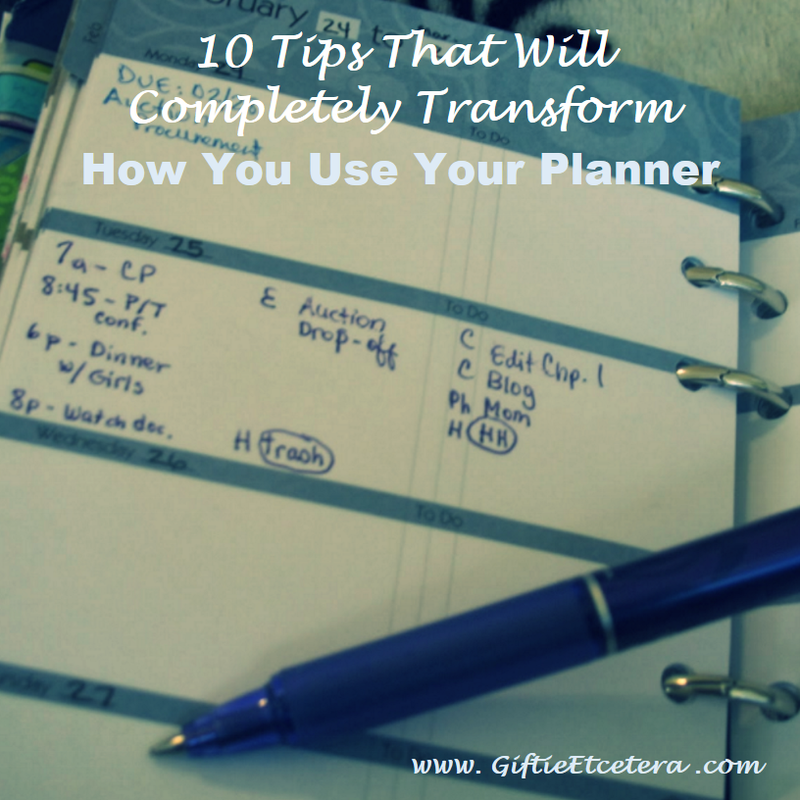 If you liked this post, follow my on Pinterest to see even more fun and useful planner posts! Wow. That is a pretty intense system! I would forget all those abbreviations lol. So I bought a bigger day planner and use that. I think I could learn a TON from you! I am not detailed in my planning and I wish I were more so. Going back to study your original post now. Thank you!! I keep a lesson planner for school. Not for personal. I use my google calendar. Great idea here though. Another great share today on Tuesday Talk. I Bought a Planner...Now What Do I Do?